Established in 2012, mCareWatch™ is a leading-edge Australian healthcare software specialist. 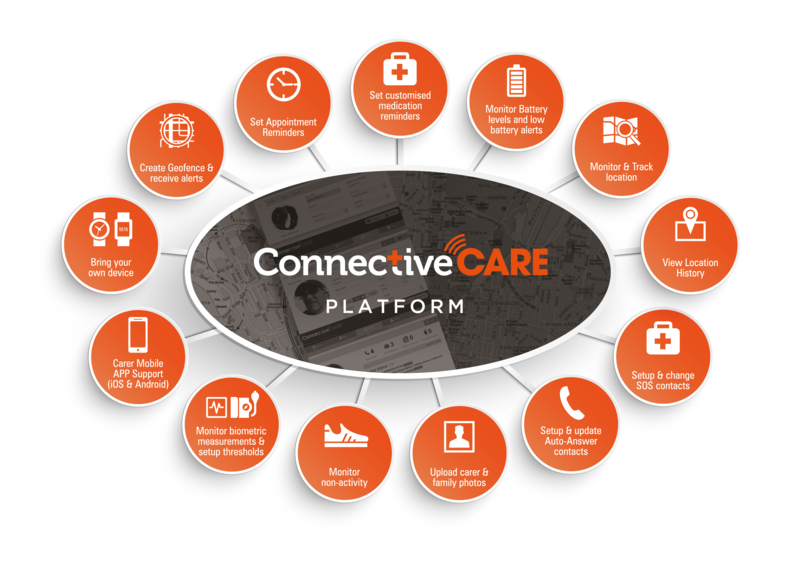 Our ConnectiveCARE one stop, multi-purpose digital healthcare platform supports the safety, health and wellbeing of all Australians – both individuals and organisations. You can connect a wide range of wearable and other healthcare devices to the ConnectiveCARE platform. The platform helps people with dementia and disabilities and their family and carers; those with chronic conditions or general health concerns; and people who want to improve and maintain their health fitness. When you connect, you can access a wide range of useful functions that support health, safety and wellbeing. It’s easy, fast and accurate. And it may save your life, or the life of someone you love. ConnectiveCARE functions range from measuring and reporting heart rate, blood pressure, blood sugar through to activity and GPS tracking, geo-fencing, medical alerts, medication and appointment reminders, personal emergency alarms and more. It’s up to you. Just choose your device…and connect. One digital health platform. Many healthcare options. 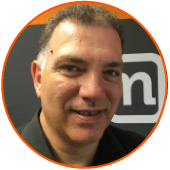 Peter Apostolopoulos is a founding partner and director. He is an eHealth consultant with diverse experience in the public and private sectors in Australia, Hong Kong and Singapore. Peter also acted as Health Informatician at various Australian health agencies such as NSW Health and Queensland Health, before becoming the Lead Health Domain Consultant for the Information Technology Services arm of SingTel, NCS. He was responsible for delivering large-scale, mission-critical systems for the Ministry of Health in Singapore and the Department of Health in Hong Kong. Peter brings to mCareWatch the healthcare and IT knowledge to ensure we deliver on our vision of by becoming the leading caring and wellbeing eHealth platform in Australia. A member of the Health Informatics Society of Australia and the Health Information Management Association of Australia, Peter holds a Bachelor of Applied Science from the University of Sydney, for which he studied both Information Technology and Health Information Management. 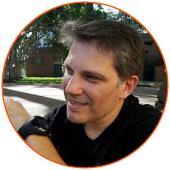 Paul is a founding partner and director. He has 20 years’ senior marketing and sales experience in major media and retail companies both in Australia and overseas, including cosmetics leader Napoleon Perdis, KAO and Fairfax Media. His track record spans the conception, development, launch and ongoing marketing of a wide range of products in Australia, New Zealand, the USA, Canada and Hong Kong. Paul brings to mCareWatch a deep understanding of how to successfully develop and market products in the highly specialised personal care category, along with the all-important proven execution discipline, business experience and commercial acumen that’s required to turn a “great idea” into reality. Paul holds a Bachelor of Economics from Macquarie University. James is an IT consultant with over 20 years’ of experience in the IT industry. 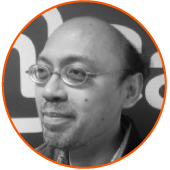 His expertise spans technical consulting, system architecture, enterprise integration, to project management, presales and more. His marque projects include building applications for TSMC, leading the team that oversaw the development of the messaging system for the entire Singapore civil servants and the extensive multi-million-dollar web content management system for the Australian Broadcasting Corporation (ABC). James brings to mCareWatch both his paramount belief in the cause and vision of using technology to assist people who need it the most – and his ability to deliver on it. Cynthia has over 25 years’ experience across high level administrative, customer service and relationship management roles in banking, finance and healthcare. She is highly qualified in delivering and providing quality customer service and engagement strategies to ensure customer satisfaction and engagement. Cynthia brings to mCareWatch the rare blend of deep commercial and product knowledge along with local insight and an overriding commitment to anticipating, understanding and responding to customer needs. Anna has 25 years’ experience in IT, spanning an extraordinary range of both service and software specialties for both the government and private sector. These include consulting, pre-sales, training, project management and practice management. Her knowledge of information management and enterprise resource planning is unrivalled and includes Kofax, Oracle Webcenter/BPM/IPM, IBM Filenet, HP Trim, Core Media WCM and Handysoft. Anna’s experience and capability in multiple IT environments means Anna can ensure mCareWatch clients’ success in major enterprise end-to-end implementation projects. mCareWatch has an expert panel of advisers from the health informatics, information technology, health and aged care sectors. Our advisory team help us to draw on the very latest in the evidence-based healthcare and technology fields to create accessible, relevant solutions that improve the quality of life of mCareWatch clients. That includes Australians with dementia and disabilities and their carers, those with chronic conditions and those who want our support in taking control of their own health and wellbeing.